Darico looks to combine safety and opportunity into one project, culminating in today's pre-ICO launch. With so many crypto options to choose from, investors are keenly dialed into the safest and most secure trading instruments. In light of this demand for more secure cryptos, Darico is launching its own initiative, which represents an asset-backed cryptocurrency. 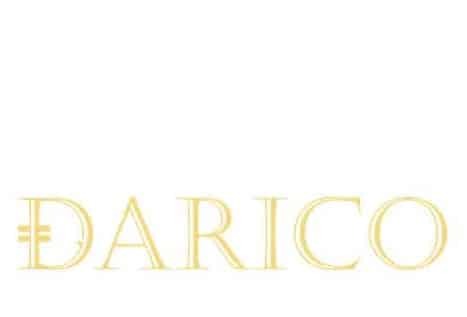 The launch of the Darico’s initial coin offering (ICO) and trading of its Darico coins are designed specifically to provide a safer and more accessible gateway to cryptocurrency investments. The project melds existing cryptocurrencies such as Bitcoin and Ethereum as well as one of the world’s longest standing and secure financial instruments, i.e. gold. 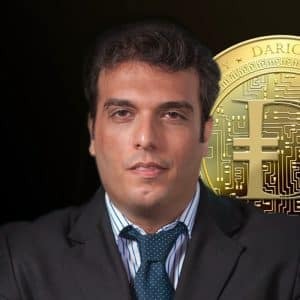 “Darico stands for decentralized, asset-backed, return-focused, investment-grade coin and it describes the concept of a cryptocurrency that’s backed by a basket of assets,” explained Mojtaba Asadian, the founder of Darico. The group will be launching a pre-ICO sale to get its project underway, which is slated to begin on November 30, 2017. Funds raised in Darico’s pre-ICO will be used to buy the assets that underpin its value. These will be instrumental in enabling long-term investors to hold their coins with confidence knowing that fluctuations caused by short-term daily trading will always be set against the real value of the assets that back them. Darico’s basket of assets specifically emphasizes a longer-term and safer structure. These assets were proportionally selected based on the ‘Strategic Asset Allocation’ strategy to reduce risk related to cryptocurrencies, while being reasonably exposed to their potential growth. 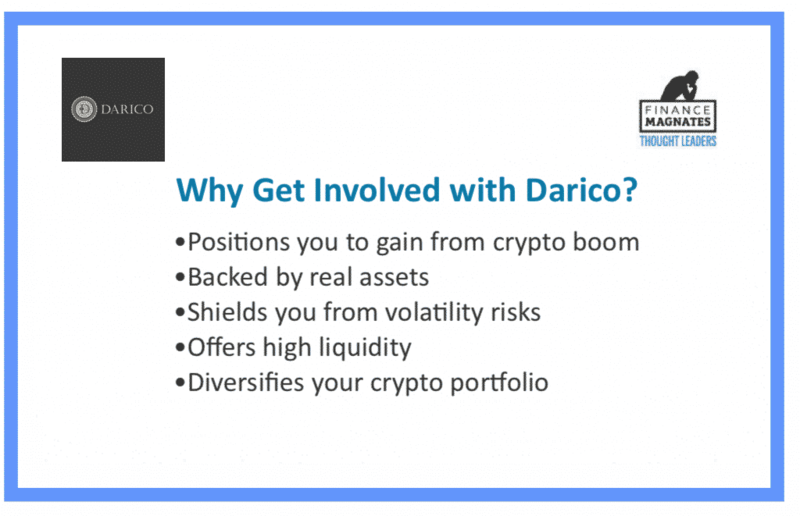 What can Darico wallet do for you? In particular, Darico opted for a coin that is designed to provide a more stable investment outlook, fortified by a digital wallet or Darico wallet. This construct will help facilitate easy access to holdings and will provide a route to exchanges that ensures higher levels of liquidity than are currently available in the crypto environment. Darico’s development team is also working on the design of client software that will include the native wallet and in the meantime, Darico coins will be held in ERC20 wallets. As well as the wallet, the group has in the pipeline a variety of projects that will provide holders with easy access to their investments, including a Darico Card that will act in a similar way to a pre-paid debit card. As stated above, the pre-ICO will begin on November 30 with the total number of Darico coins in circulation limited to 240 million. Of these, less than a third of this (32.5 percent or 78 million Darico coins) will be issued to early investors during the pre-ICO. The funds raised at the ICO stage will go directly into purchasing the assets that will back the coin. Looking ahead, Darico’s distribution will operate via auto-mining. Special “Genesis” accounts will emit new coins on a daily basis for eighteen years, ultimately reaching a cap of 240 million coins in circulation. 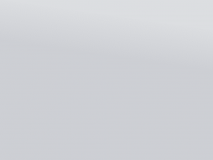 Darico’s auto-mining mechanism is unique in its design and execution, notably when weighed against other coins. 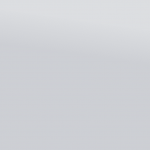 Newly mined Darico coins can be added to investors genesis account every 15 seconds. The investor’s right to mine new coins is transferable and Darico’s Genesis accounts will calculate unclaimed mined coins and reward the investor before completing the transfer of ownership. “People who invest at this first stage will also benefit from being provided with Genesis Accounts that will generate new coins over an 18- year period,” noted Mr. Asadian. Investors interested in the project can familiarize themselves with Darico’s ICO by accessing its whitepaper in the following link.